About a week ago reports starting coming in from France of large numbers of seabirds washing up on beaches, mostly Puffins. Amongst the Puffins were three juveniles that were fitted with geolocators last year on Skomer. 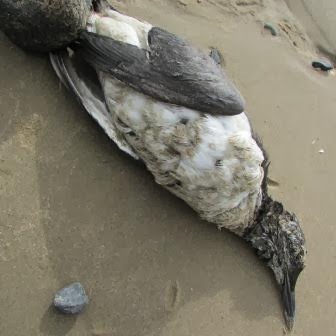 Latest figures are suggesting that 25,000 birds have been effected and that over 14,500 Puffins have died. 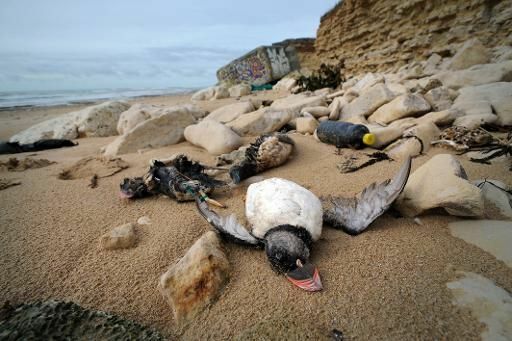 Photo taken on February 10, 2014 shows the bodies of puffins washed up on a beach in Sainte-Marie-de-Re, western France, after heavy storms. 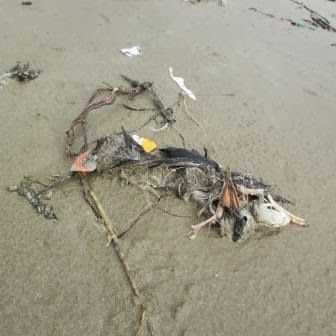 If you live in Wales you may have recently seen news reports on BBC Wales and ITV Wales about the wrecked birds that have been washing up in France and now Pembrokeshire. If not you can still view them on the internet. See ITV and BBC (in Welsh) - 19.40mins and BBC (in English) - 9.25mins. For a written report see BBC news. 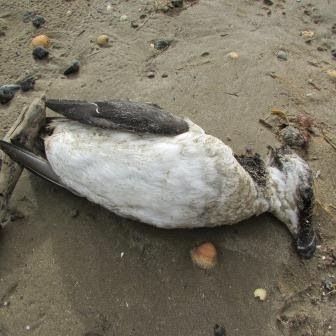 This could not be coming at a worst time for our seabirds. It is at about this time of year that Razorbills and Guillemots return to the Pembrokeshire islands to claim their places on the sea cliffs and some of the birds were in breeding plumage. With a high chance of local birds being involved the long term studies of these important colonies are more urgent than ever. It is therefore devastating that NRW have just withdrawn funding for one of Skomers most important and longest running monitoring programmes. This long term research project on Skomers Guillemots, led by professor Tim Birkhead of the University of Shefield, has been tracking the ever changing Guillemot population on Skomer since the early 1970s and provides vital information for science and conservation. The Wildlife Trust of South and West Wales have just released an appeal for funds to help continue this massively important work. See the trust website for more details of how you can help. 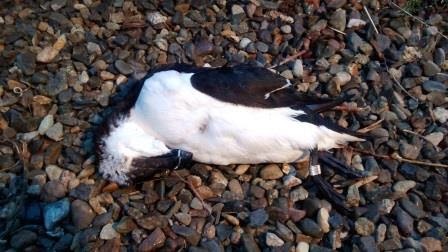 A Razorbill fitted with a geolocator on Skomer has now been found dead on the Welsh coast. If anybody finds dead birds with rings on they should report the ring number to the British Trust for Ornithology (BTO) and keep hold of the ring.